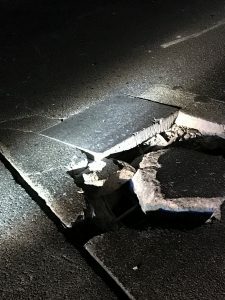 Company 3 responded to a bridge hazard at the 35 SB of I-81. Upon arrival, found a concrete patch in a lane of traffic coming apart. Controlled traffic until lane could be closed. Call c leared 23:12.